Corolla Bay in Corolla, NC is a Outer Banks beach vacation rental community that consists of The Views at Corolla Bay and The Villas at Corolla Bay. This charming village is Corolla’s newest vacation community, running on the northern-most area of Corolla on the Currituck Sound right before the Corolla 4×4 beaches begin. Only a short distance to the Atlantic Ocean, visitors to Corolla Bay enjoy some of the most beautiful sunsets in America right outside their front doors, as well as breathtaking views of sand dunes and maritime forests which define this area of the Outer Banks. 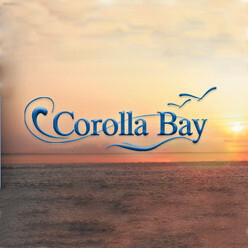 Looking for a vacation rental home in Corolla Bay? Visit our Corolla, NC vacation rentals page. Or, browse current vacation rental deals.